The facet joints are the small joints between the vertebral segments on both sides of the spine. Each vertebral segment has two facet joints, one on each side. These joints provide stability and control for bending and twisting. 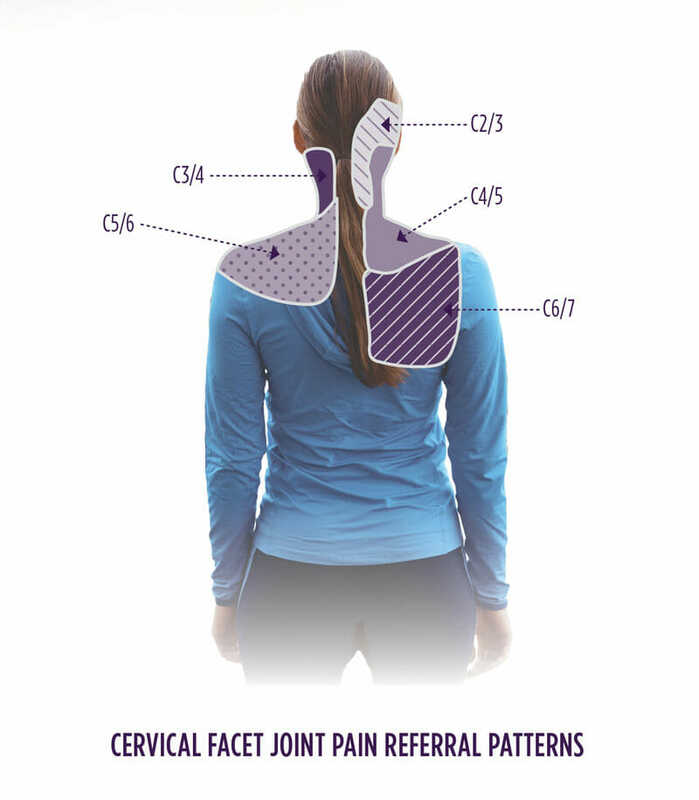 Pain in the neck, headaches, shoulders, or mid-back may be caused by injury or arthritis of the facet joints. If you obtain pain relief while your medial branch nerves are anesthetized, then your doctor knows your pain is facet joint related. A local anesthetic is used to temporarily block these nerves from sending the pain signals on to the brain. If you have pain due to facet joint arthritis, you may feel relief of that pain for a few hours. The patient is placed in the prone (lying face down) position with two pillows placed under the chest and a small pillow under the forehead. The skin on the back of the neck or upper back is sterilely prepared. Using fluoroscopic (X-ray) guidance, the appropriate levels for medial branch blockade are viewed. The skin is anesthetized. A thin needle is then advanced under X-ray guidance to the appropriate region for the block. A small volume of contrast solution is injected to prove that the medication will stay in the appropriate area. Then, a small volume of long-acting anesthetic is injected. The patient is cared for in the recovery area for 30 minutes. Dental and colonoscopy procedures should not be scheduled 48 hours before or after your injection. Please notify us if you are scheduled for any dental or colonoscopy procedures 48 hours before or after your injection.